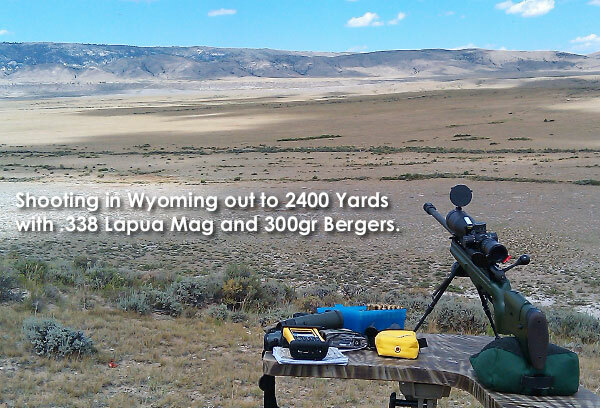 Bryan Litz, Ballistician for Berger Bullets and author of Applied Ballistics for Long Range Shooting, has been testing the latest version of the Shooter Ballistics Calculator for Android™ OS Smartphones and portable devices. This is a very sophisticated, full featured App that incorporates the latest bullet databases with Litz G7 BCs as well as a wealth of other information. It provides extremely reliable ballistics solutions at all ranges, and in all atmospheric conditions. The full-featured Shooter App sells for $9.99 in the Android Apps Marketplace. Visit the Shooter App Website to preview the program’s functions and see how the entry screens work. The App is easy to install and run. There is a also a ‘Lite’ version of SHOOTER that you can download for free. 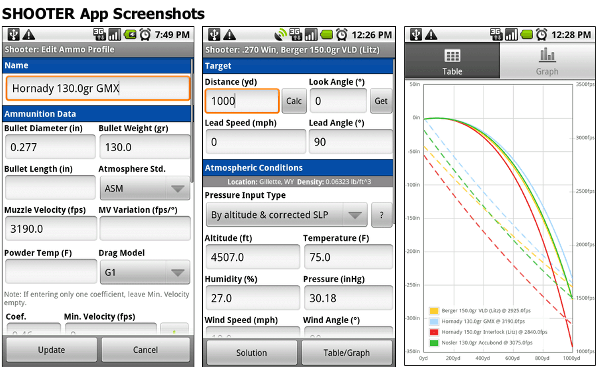 CLICK HERE for SHOOTER Android OS Ballistics Program. 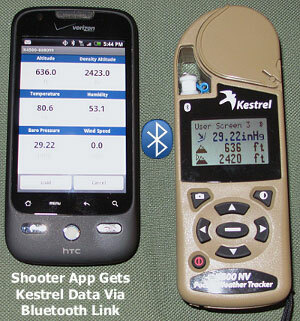 CLICK HERE for SHOOTER LITE Android OS Ballistics Program.